Florance Electrical are available 24 hours to service all of your air conditioning and refrigeration needs in Darwin. We have established our name quickly within the refrigeration industry due to our exceptional customer service, highly skilled refrigeration mechanics and professional operation. We are passionate about our clients needs and their experience and are striving to change the industry in Darwin. Giving sound advice on cost effective cooling solutions and ensuring our clients are always 100% satisfied is our passion. Catering for all types of air conditioning and refrigeration systems in Darwin both commercial and domestic we are the professionals to talk to for all your cooling repairs, servicing or installations. Huge range of available products from all leading brands including: Pioneer Air, Daikin, Panasonic, Fujitsu, Pioneer Air, LG and Mitsubishi Electric. Don’t settle for second rate tradesmen. Florance Electrical Darwin are here to change the service industry in Darwin. We believe that our clients should always be put first and be offered cost-effective solutions all with clear communication. All refrigeration and air conditioning jobs big or small, we are your cooling experts! As from 1st January 2018 the Australian Government has started to phase-down HFC refrigerants. R410A and R32 are HFC refrigerants. We are excited to offer hydrocarbon, natural refrigerant retrofit solutions to existing air conditioners to massively reduce your air conditioners power consumption and natural refrigerant air conditioners if a new unit is required. Engas provide natural refrigerant solutions that retrofit into existing systems to reduce your carbon foot print and significantly reduce the running costs of the system. Depending on the application these products can save between 15% – 54%. These refrigerants are also safe for the ozone layer, having no ozone depleting properties and absolutely minimal global warming potential, Contact Florance Electrical Darwin today for a tailored solution to suite your air conditioners or refrigeration system. To have an air conditioner that can handle extreme conditions, you must have a refrigerant that can handle extreme conditions without decomposing. When chemical refrigerants decompose they can turn into lethal gases, such as hydrogen fluoride. 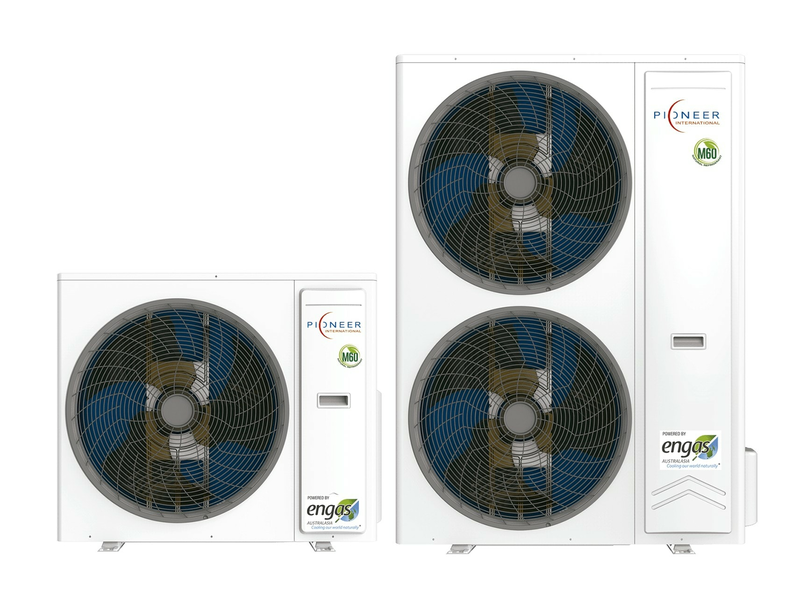 Pioneer Air Blade Series DC inverter split system air conditioners are the most energy efficient natural refrigerant wall mounted split system in Australia. These air conditioners utilise Engas M60 refrigerant and state of the art technology to provide massive energy savings. Contact Florance Electrical Darwin today for more information on these air conditioners or to arrange a free site inspection for a tailored solution to your air conditioning needs. 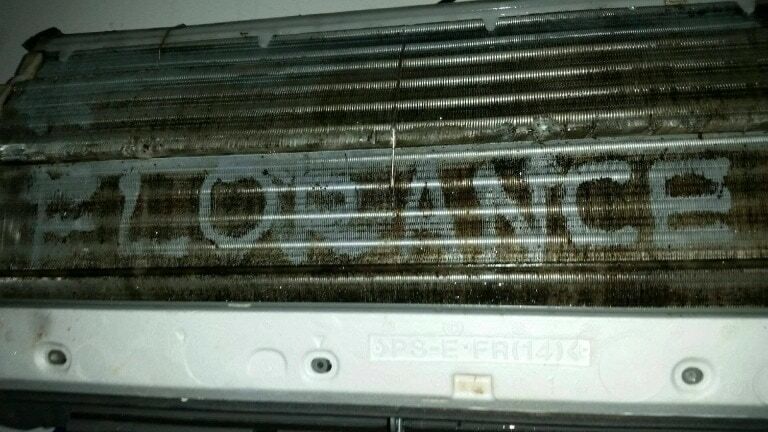 HFC refrigerants are being phased out, why would you buy an outdated air conditioner? The most energy efficient natural refrigerant wall mounted split system air conditioning in Australia compared to split system. This product enables you to rebuild your existing ducted air conditioning system so that you can save money and enjoy the same excellence in engineering. Replacing your outdoor unit with a new unit that runs on M60 natural refrigerant. Enjoy lower operating costs, reduced enviromental impact and the safety of a natural refrigerant. Don't put up with high power bills or air conditioners that don't function!